Becoming a Firefighter: Do you have what it takes? How Long Does It Take To Become a Firefighter? Are you looking for a career that is full of challenges and gives you the opportunity to help people every day? If yes, consider the career of a firefighter. There are many reasons why people opt for firefighter jobs. Not only will you be able to give back to your community, but can also contribute to the safety of your fellow citizens and loved ones. 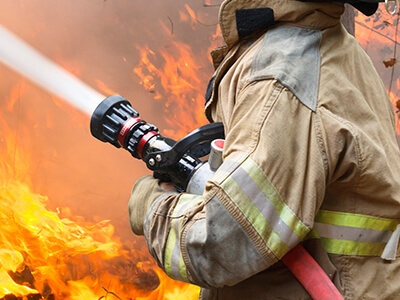 According to the US Bureau of Labor Statistics, there were over 300,000 firefighters in 2012. By the year 2022, over 20,000 new job openings are expected in this field. This occupation reflects a steady growth rate and positive employment outlook. Are you a team player? – Firefighters must work in teams and show precise coordination. Are you physically fit? – As a firefighter, you must be active and healthy. Can you handle a tough work schedule? – Firefighters may work 24 and 48 hour shifts. Do you perform well under stress? – Firefighters face extremely dangerous scenarios. Do you want to help others? – Firefighters must put the lives of others before theirs. High school diploma – Applicants must have completed their high school education. A post-secondary college degree may be required for advanced job positions. Age – Applicants must be 18 years of age or older. Driver’s license – All applicants must have a valid driver’s license. Medical exam and drug tests – Applicants will have to pass medical examinations and drug screening test prior to be hired. Training – On-the-job training is an important part of the hiring process. The training program and curriculum may vary from place to place. EMT certification – In some states, getting an emergency medical technician certification may be mandatory for the job. This is the minimum level of education you will need for this career. Getting a college degree or a post-secondary certificate in fire science can boost your chances of employment, and also sharpen your skill set. An Emergency Medical Technician may be needed for the job, depending on the state you live in. In some states, you can get this certification after getting hired, while in other states, an EMT certification will be needed before applying. This program is designed to provide individuals with comprehensive knowledge about emergency care. Students will learn how to provide emergency care such as CPR. The coursework will also familiarize students with medical terminology and care protocols. Once the program is complete, students must pass the certification exam. All candidates must pass certain physical and medical tests. These tests are designed to evaluate the readiness of a candidate, and ensure they are physically fit and healthy for the job. Some states may also include drug screening tests. Failure in any of these tests may lead to disqualification. Candidates will be taught how to use different fire extinguishing equipment and may also participate in fire drills. In some states, candidates will attend training sessions that are sponsored by the National Fire Academy. The main purpose of training is to make sure all candidates build the necessary skills needed for the career. Physical stamina – You will need stamina to carry heavy firefighting equipment that is a part of the job. Decision making skills – Working under pressure can break people. You must be able to respond to emergencies and react smartly to save the lives of those in danger. Communication skills – Strong communication is required for coordination and responding to emergency-response teams. The duration is likely to vary from place to place. It can take around 1-2 years to become a firefighter after completing your high school education. The duration of a firefighting training program and EMT certification will vary. Some programs can be completed in 6 months while others make take 12 months. The income level will vary from state to state. In 2012, these professionals made a median annual income of $45,250. You can also improve your career prospects and income potential by acquiring more certifications and work experience. Many firefighters are promoted to the position of a fire inspector or investigator after getting enough work experience and education. · © 2019 360Career. All rights reserved.